Each frame is an extraordinary Work of Art! 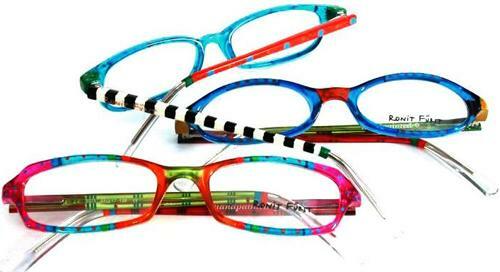 With a jubilant signature style that gets noticed, each frame is truly original - hand painted by Ronit Furst and her staff of talented artists. providing a unique eyewear solution for your individual needs. Whether you are looking to make an impression at the office, take a party by storm, or simply brighten up an outfit, these frames will set you apart from the crowd and bring the fun back into your day. uniquely designed crockery, which made her a household name in Israel and later gained her international recognition. All along, Furst has maintained her passion for sculpture and original artwork. individually hand painted with patterns and colors that will open up the possibilities for a unique and joyful eyewear experience.